What Kind of Water Does Shrimp Live In? In the northern United States and Canada, fish farming is often limited by a short growing season. Most species of fish grow slowly in the cool temperatures of spring and fall. 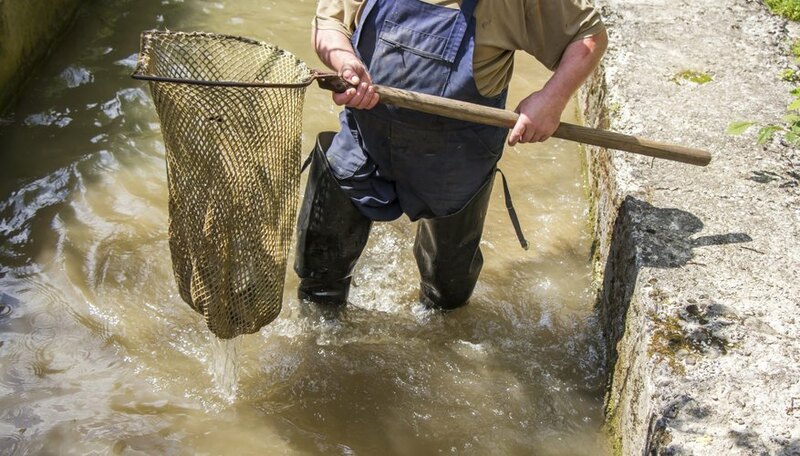 Some entrepreneurs are looking at trout fish farming as a possible form of aquaculture, because trout grow best within a temperature range of 50 to 70 degrees Fahrenheit. Trout are carnivorous fish. 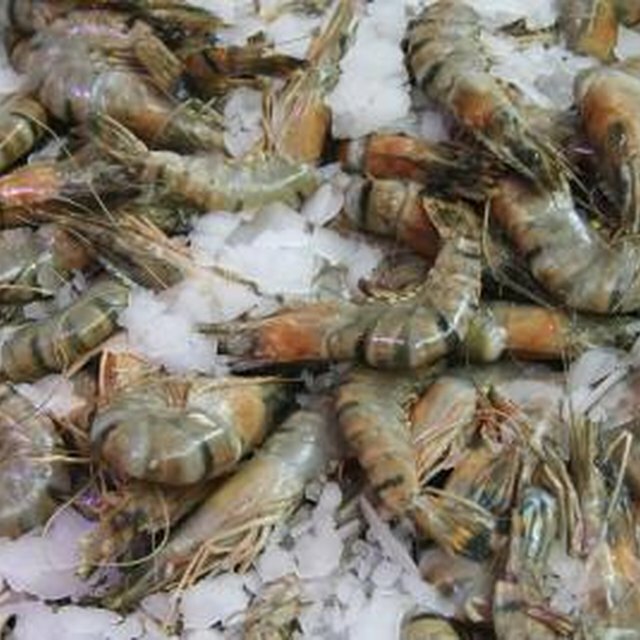 They require a high protein diet and grow best in cool, highly oxygenated water. They can grow from fingerling size to a marketable size in 6 to 8 months. Marketable size is in the range of 1/2 to 2/3 of a pound. 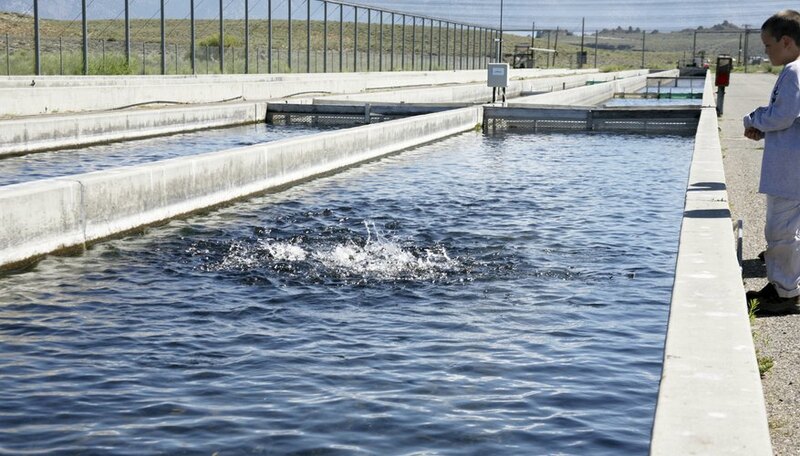 Trout fish farming requires continuously flowing water. 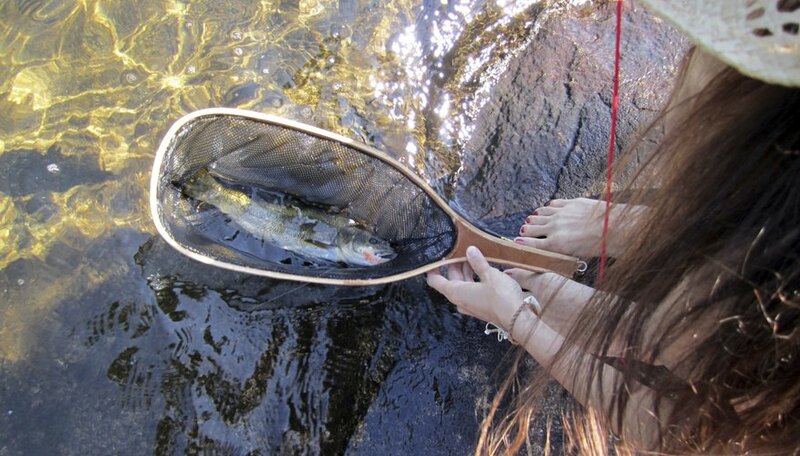 Trout can survive in water as cold as 32 degrees Fahrenheit and as warm as 77 degrees Fahrenheit . They are highly susceptible to diseases, so they must have very clean water. Trout prefer dissolved oxygen levels of 7 parts-per-million (ppm) or greater but can survive with as little as 5 ppm. 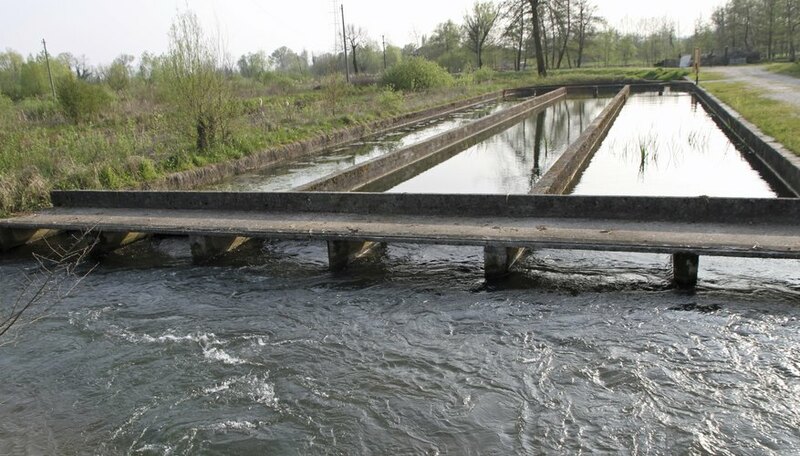 The most commonly used tank for trout fish farming is a concrete raceway. A typical raceway is about 3 feet deep, 5 to 20 feet wide and 40 to 100 feet long. These dimensions can vary widely, depending on the size and shape of the area the farmer has available. Water is pumped into one end of the raceway, flows down the raceway and is removed at the outlet end by gravity or a pump. 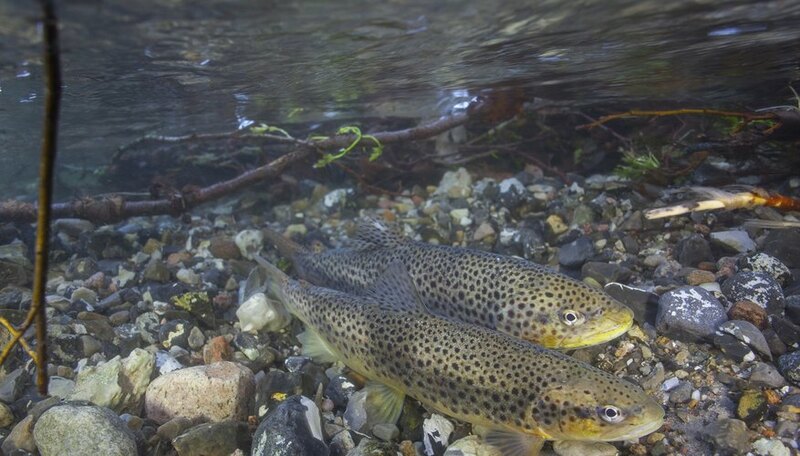 Trout die quickly when dissolved oxygen levels decline below 6 ppm. The water entering a raceway must either be fresh, highly oxygenated water, recycled water from the outlet end of the raceway or a combination of the two. If water is recycled through the system, it must be aerated prior to being pumped back in. Various systems may be used to aerate the water, including paddlewheels, agitation, oxygen tablets and pure oxygen injection. Recycling water within the raceway has the potential to quickly spread diseases and bacteria that may kill off an entire crop. Solid waste is removed from the water by running it through a filtering system before reintroducing it to the raceway. The water must also be cleaned of nitrites and ammonia by running it through beds that contain bacteria that break down the harmful compounds. Farmed trout are fed a pelletized commercial feed which is high in protein and fat. Mechanical feeders are preferred because the fish should be fed small amounts many times a day rather than a large amount once or twice a day. Multiple small feedings encourage conversion of the feed to body mass and results in less waste than large feedings. 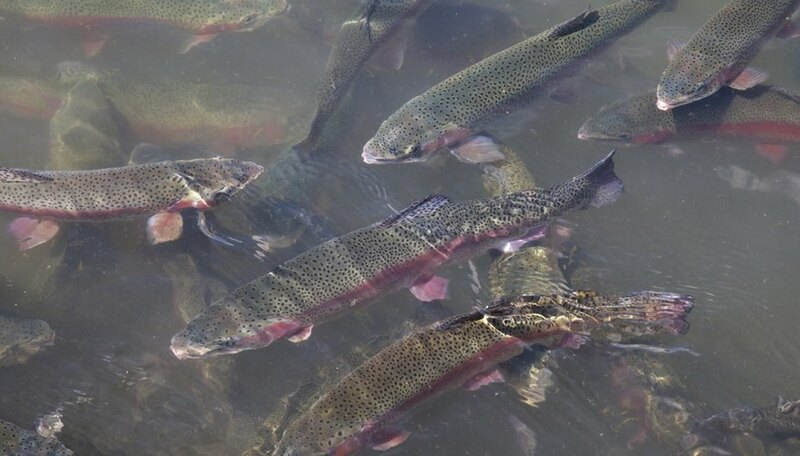 Most trout fish farms are seasonal and all fish are netted and processed at the end of the growing season. 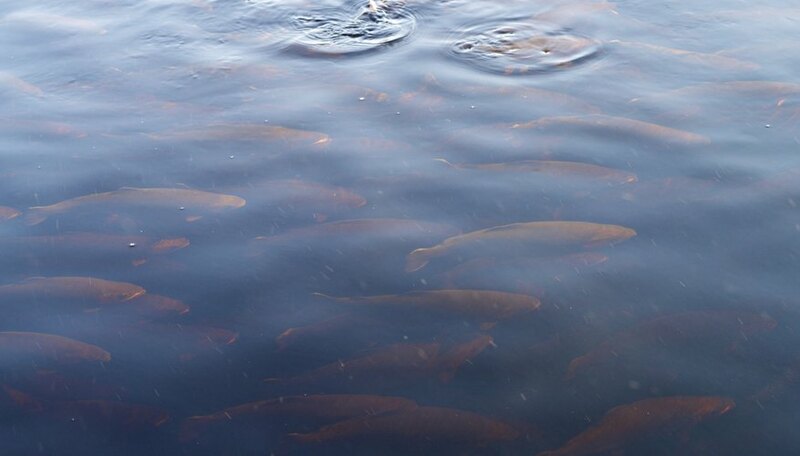 Most trout fish farmers prefer to contract with a single processor or wholesaler who will purchase the entire crop. State and local regulations concerning processing vary widely depending on how much processing, if any, is done on-site. Some farms also stock area recreational trout-fishing venues. Hallier, Dave. "Trout Fish Farming." 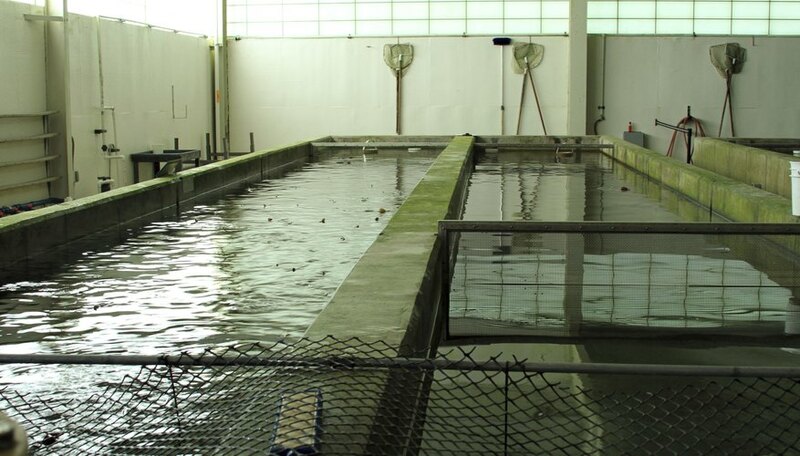 Sciencing, https://sciencing.com/about-5462808-trout-fish-farming.html. 09 January 2018.